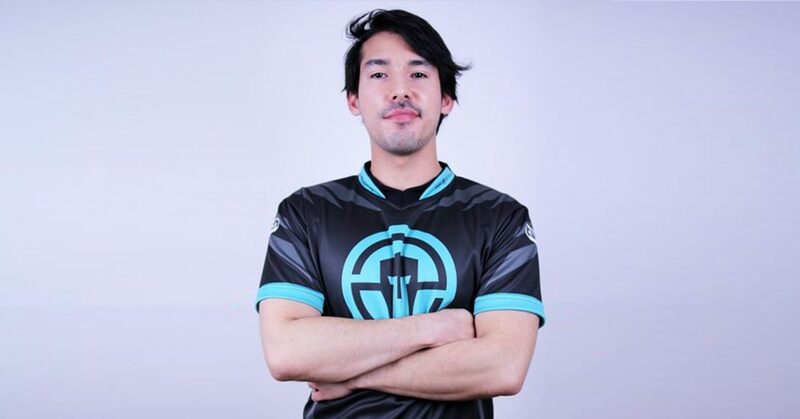 Esports Edition’s @Jungroan sat down with George “Hyped” Maganzini for an interview, where we explored some of Hyped’s strategic views on competitive Overwatch, competitors, and helping his role as a mentor on the young rising stars from Immortals’ Overwatch team. Many Hearthstone fans were wondering where exactly you disappeared off to after your success in that game. Where did you go? Actually, I was pretty much just playing Overwatch as soon as I could get my hands on the beta, which was around September two years ago – maybe a little earlier? To what extent do you think your skills have been transferrable from the MTG setting into Overwatch? Well firstly, I don’t think of myself as a card game player—I just happened upon Hearthstone. That said, there is a lot of strategy in Overwatch. It’s still a brand new game. Pretty much anything you can figure out at this stage you can put to use, in terms of team strategy and team compositions. That’s actually my main role and strength – coming up with team compositions kind of feels like Hearthstone in that it’s a puzzle you’ve got to figure out. And, it’s constantly changing because when you swap your team comp, the enemy team will react and you have to then predict what they’re going to change. I play that little game. Recently against NRG, those swaps were especially evident. The flexibility you guys show really seems to be one of the advantages of the team overall. For sure! I’ll flex to anything, even I’m not good at a hero so long as I think it can get us the win… which sometimes backfires. [Even though] my Pharah’s not that great, sometimes I’ll go on Pharah, and the reason is to bring my healer—Aythen is usually on Ana or Zen, and now I can put him on Mercy—so I’m keeping him safe while dealing damage. Your numbers were spectacular on Pharah in the match against LG Evil, but it still netted the win. Some people were like “jkaem and Hyped aren’t really hitting each other,” but for me that was perfect because they were dedicating their Mercy and Pharah trying to fight ours, and in addition, their D.Va was constantly boosting all the way up to try to kill me. She’d try, then fall to the ground, and so on. It was a 2v3 in the air, so all I really had to do was live, shoot a few rockets, and then the 4v3 on the floor would go in my team’s favour every time. On that note, how does your team decide upon who plays the Pharah, since Agilities also picks it in some of your matches? It’s actually pretty simple. Agilities is really good at Pharah, but he’s also an insane Genji. So if we need Genji, we put him on it and I’ll play Pharah, but if we don’t, he’s taking Pharah for sure. As far as recent matches go, Immortals won the Overwatch Carbon Series, but then finished fourth in the recent monthly. 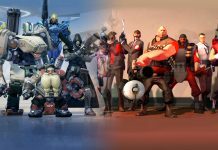 How do you feel the team lines up with the rest of North American teams, as well as the NA teams abroad like C9, EnVyUs, and now Rogue? We’ve actually been scrimming those three teams quite a bit. First, on the American teams – LG Evil and Selfless are on the rise, and Denial maybe. We’ll see. I’d say we can definitely beat every NA team. Selfless gives us challenges, but I think we can figure them out. Then we’re still two steps away from Rogue. I think EnVy and C9 we’ve been able to research a bit more than Selfless and we’ve figure out what we can do against them. At the same time, C9 is making a lot of changes and has the potential for a lot of growth, so they still keep us on our toes for sure. Selfless is really tough for us; they seem harder for us to beat than Envy. Do you believe that’s more of a stylistic thing, or is it because of individual standouts? I think it’s that stylistic change. When a team has a really strong and particularly aggressive strategy, you’re forced to deal with it. In the NGE [Winter Premiere] our hardest opponent team was Kungarna because they had a very aggressive in-your-face strategy. Unless you want to meet them on aggressive, you have to figure out what they’re doing and then figure out how you want to respond to them which is really hard in the moment. so I’d say for that reason, Selfless is stronger. For clarity, between Rogue and EnvyUs, who do you feel comes out on top? It’s hard to say because EnVyUs is rebuilding and they showed up really huge in their tournament game against us the other day. You can see that even though they have some roleswaps and people aren’t comfortable yet, they have the strategic prowess that really helps them win games. We’ve seen a lot of aggressive defenses come out for teams, but many of them have flopped. Is that due to a lack of mastery, or just aggressive defenses becoming a poorer choice in the emerging meta? Defense is tricky because even if it flops with these more aggressive strategies, you can usually delay the opponents a lot more than it seem. If you’re just on a standard defensive hold – say on Gibraltor server room – you give up the first two-thirds of the checkpoint. you might win a fight, and then lose the next one; it seems like a decent defense. But if you’re an aggressive defense and even if you’re constantly losing, you have a prolonged first fight and you’ve got people contesting the cart the whole time. So sometimes even though it looks like it’s losing, you still have bought more time with that strategy. What do you think about alternative team compositions, i.e. 4DPS, 3-2-1, etc.? Definitely potential for 4DPS setups, but at the same time I feel like if that becomes too dominant, Blizzard will have to buff tanks a bit. I like a more balanced game, 2-2-2, even though it can be a little more boring. Honestly, I like playing 3 or 4 tank setups, just because the teamfights were more cerebral – there was more strategy. 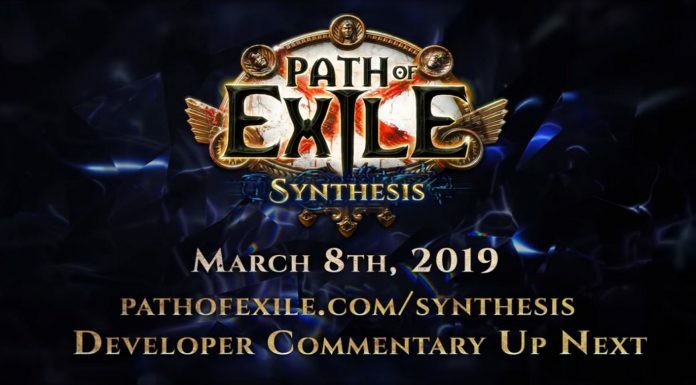 Some casters have identified you as the in-game leader or shotcaller. What’s the actual strategic makeup when it gets into the game? I think Verbo is going to be our main shotcaller. He’s gonna be doing all the strategy when it comes to where we’re going, how we’re doing it, and that sort of thing. That allows me the freedom to think more about plays. Once I do have something that I’m pretty sure will work, I’ll bring it up. Verbo is the default shotcaller, and outside of that, I will usually be the one to say how we use our ultimates and team compositions swaps. How do you view the role of DPS in terms of communication, and balancing that with mechanical focus? So my main hero is Zarya. She’s kind of in the middle where sometimes you need to be focused on doing damage, but when I do have those opportunities – those lulls – I try to give as much as I can to the comms. Basically, as Zarya, you are the DPS sometimes and you need other people to fill in the communications, and when you are free, you try to help as much as you can to give your DPS players clarity. How do you feel about being a veteran, not just being older, but also with regards to esports experience? Are you giving mentorship on how to handle ‘esports’? You can’t be doing that. And then when we first started to get some traction and the offers started coming in, they wanted to jump on the worst offers possible. As simple as that was, it was a huge boon for the team to get with Immortals. 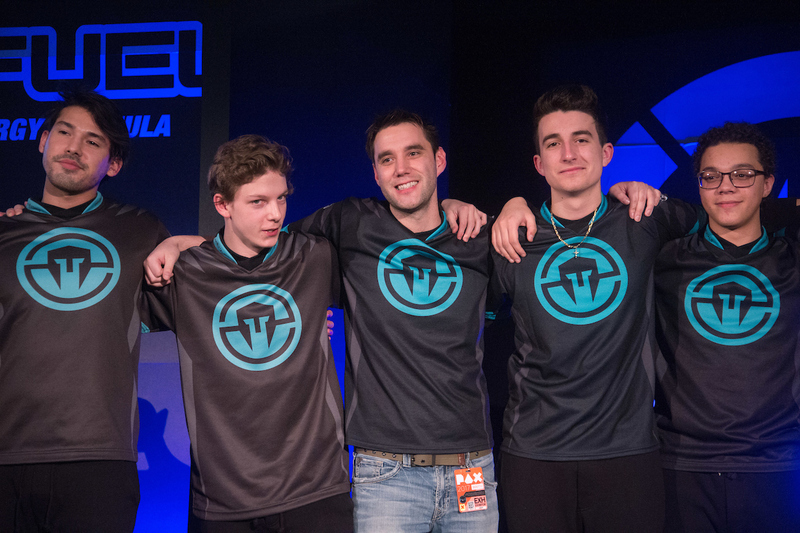 Immortals has been great for us, helping us grow, and definitely responsible for the success we’ve had so far. There’s a recent rumour about a ‘no girlfriends at events’ rule being implemented by some teams internally. With Immortals and your situation, it might not be a possibility, but aside, is the rumour legit? What’s your take on its effectiveness? I don’t know too much about it. I joined the team and my girlfriend was our manager and she also joined us in Immortals, so we’re kind of grandfathered in. No one’s said anything about it, but it hasn’t affected us yet. I’m new to team esports – in Hearthstone, no one would ever be mad for someone bringing their girlfriend to an event. I’ll have to talk to my team if they’ve found it to be an issue. But I’m pretty sure my team loves my girlfriend. How do you guys get ready for LAN games? What’s the mindset you bring, and how do you get people who haven’t travelled as much to get ready for the stage? It’s actually pretty new for me too, though I did have some [experience] from Hearthstone. First thing is nervousness – it’s never gonna go away completely. I don’t want my teammates to think that they’re just going to step on the stage and not be nervous one day. I tell them it’s a gradual process. In terms of actual prep, sleep is the most important thing. I make sure everyone is on a sleeping schedule that’s synced up to the tournament at least a few days beforehand. If it’s a tournament that’s not nearby, maybe a week or two beforehand. Also, everyone eats a super big meal at the beginning of the day because you don’t want to eat right before you play. Sometimes in these long drawn out tournaments, it can mean not eating for ten hours, and then that really hurts them. But I think I keep it simple with those two. I might have a few more personally that are more superstitious – a certain amount of caffeine, ‘Headspace’ on my phone. I have to make sure my chair and desk are perfect, but I don’t really want to poison my teammates’ mind with that stuff. These are all things that I have to do that are a little OCD. Even if the superstition is not real, you don’t want to be midway through a game and have that thought popping up. Any final comments or thoughts? Just like to thank my parents and girlfriend for being super supportive! You can follow Hyped on Twitter and Twitch, or through Immortals.